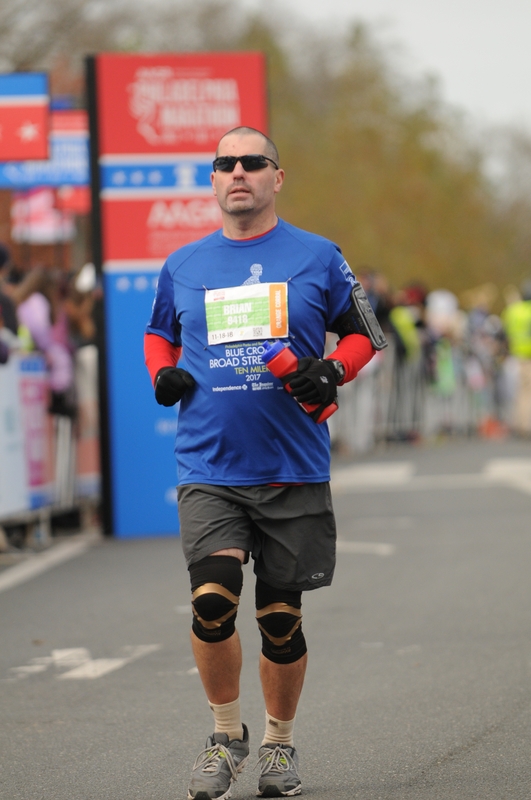 Despite a herniated disc that had me practically unable to move for a few days in early September and left me with considerable numbness and pain in my back and upper left leg for most of that month, I never imagined missing this year’s Philadelphia Marathon. That was not an option. 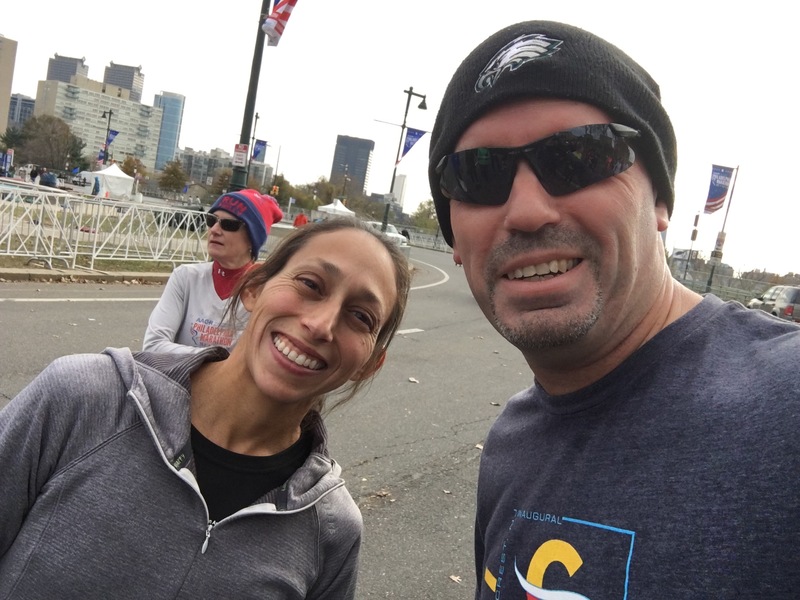 I finished last year’s Philadelphia Marathon in 4:51:22, but I had already run a marathon earlier in 2017 and did not have the disruption in my training schedule I had this year. Before the herniated disc, I was targeting a time of 4:45:00 or better. Based on the training I was able to get in post-injury/recovery (I was only able to get in up to 16 miles twice), I had to shift my goal to simply finishing the race. Honestly, I wasn’t 100-percent certain I wouldn’t aggravate the injury and have to withdraw. Internally, though, I still wanted that 4:45:00 or better. After feeling pretty strong during my last few shorter training runs (about 6 miles each), I made the tactical error of going out strong the first 10K, pulling back the next 10 miles or so and hoping to have enough in reserve to finish strong. At first, I thought I had made the right decision. My time at the halfway point was only 34 seconds slower than my time last year. 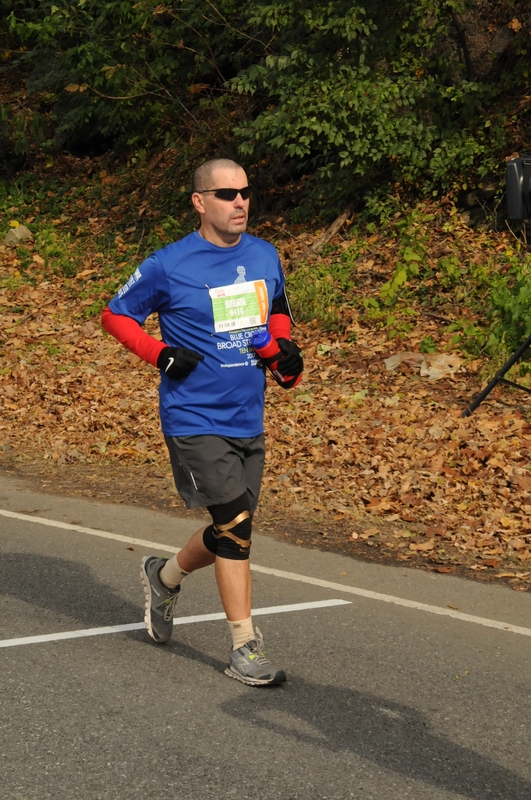 But without the 18- or 20-mile training runs under my belt this cycle, I was gassed by mile 17. I wound up walking and running verrrrry slowly the final 9.2 miles, fighting nausea, cramping and tightness. That said, I still thought if I could get to mile 26 with about 10 minutes left before that 5-hour mark, I could push myself to cover the final 1.2 miles in 10 minutes. However, I wound up missing that by a minute and a half, finishing the marathon with a time of 5:01:29. So, on one hand, it’s an accomplishment I was even able to finish after what I went through in September. 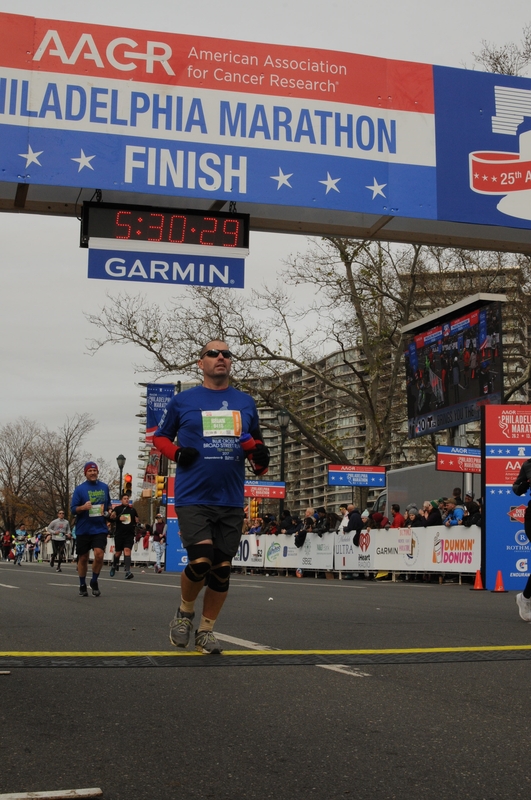 On the other, regressing to a plus-5:00:00 time on a marathon is extremely disappointing. I should have realized it was going to be a bad day that morning as I was headed into Philly from South Jersey on a PATCO train. I was in a seat with a door behind me. As the train was nearing the final stop in Center City Philadelphia, I freaked out because I couldn’t find my ski mask, which I planned on wearing during the race (so I could lift up the mask part every now and then to warm my face). I looked under the seat and it wasn’t there. I instinctively went to look behind the seat, forgetting there was a glass partition there. I slammed my head into the partition, but my sunglasses were resting on my head and one of the nose rests/hinges dug right into my forehead before breaking off, resulting in a gash on my head and uneven sunglasses. So I broke the other nose rest off to restore balance to my glasses as my head continued to bleed a bit. The dumbest part of this story? My ski mask was around my neck the whole time; I had simply lowered the hood part after getting on the train. D’oh! Another in a long history of head wounds caused by stupidity. 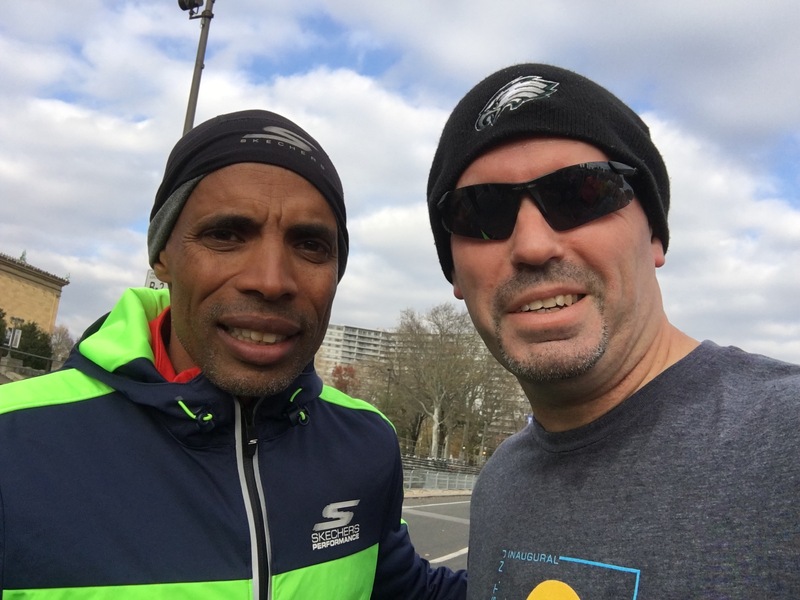 On the plus side, I took part in a “shake-out” run the day before the marathon with 2018 Boston Marathon champion Des Linden and Meb Keflezighi, 2004 Olympic silver medalist and winner of the 2009 New York City and 2014 Boston marathons. They were very accommodating, and chatted and took pictures with everybody who took part in the run…including me!